In recent interviews in BOMB, The New Inquiry and Vice, Juliet Jacques discuss her memoir, Trans, experimental film and video art, and Jacques’s larger project of searching for new ways of documenting trans* experiences. The BOMB interview, conducted by Rebekah Weikel, discusses how Jacques envisions herself as a writer, concluding with discussion of Jacques's short fiction about the late filmmaker Bas Jan Ader for 3am Magazine. RW One of your objectives for the Transgender Journey series was to write against the “trapped in the wrong body” narrative. Can you talk a little bit about your relationship to this narrative? JJ I’d seen this phrase many times—in one-off newspaper articles outlining people’s transitions, and in the works of transgender theorists. In Gender Outlaw, Bornstein talked about the need for “new metaphors” to convey trans experiences. I understood why “trapped in the wrong body” had become a shorthand for the sense of gender dysphoria, of one’s body not being right for oneself, and why some people identify strongly with it. But I was aware from an early age that I could modify my body, so I never felt “trapped” by it. JJ With that statement, I wanted to put the focus more on a transphobic society that put up tremendous resistance to any deviation from traditional gender norms—something that I hope the memoir achieves. But it didn’t quite capture the reality of my relationship to my physicality, either. In the Guardian, I said it was more accurate to say that “I could only function if I relaunched the symbiotic relationship between my mind and body from a starting point that felt right,” but that’s more complex, and needed a long narrative around it. Hopefully, though, it got closer to defining that drive that led me through the process of gender reassignment. Visit BOMB to read the interview in full. In The New Inquiry, Hannah Gregory draws out questions of continuity in Jacques's work. HG Another thing I hadn’t considered much before reading Trans – linked to the exaggeration of “Before” and “After” images in the media that you write about, and the subsequent disallowal of an actual transition – is the idea of passing as not only a reduction of the spectrum of gender, but an effacement of past selves. I was wondering whether you’d experienced negative effects of leaving a previous self behind. JJ This was something I anticipated a lot before I began transition. When I was 21, I wrote a short story called “The Invented Past of Marina”, where there were two narratives, one on either side of the page. It was set at this banal middle-class garden party of the kind I got taken to as a teenager, where there’s this passive-aggressive guy small-talking with a woman. He’s asking a series of personal questions, and she’s struggling to invent some answers. The other side of the page is her monologue, thinking: how I do handle these questions? I wish he would leave me alone, does he know I’m trans or not, and if he does what kind of power dynamic is behind these questions? I find it interesting that I’d anticipated these difficulties at a time when I didn’t know any trans people, had only been out as Juliet once or twice, and had very little direct experience of cross-gender living. When I did begin the transition, I had to come to a position quite quickly of how I felt about passing. In the end I decided that I would only try to pass as a cis woman when it was a matter of personal safety, or in brief transactions in public. Otherwise, I would try to be open about who I was. It’s about balancing the need for openness and a continuous sense of self with personal safety. Visit The New Inquiry to read the interview in full. 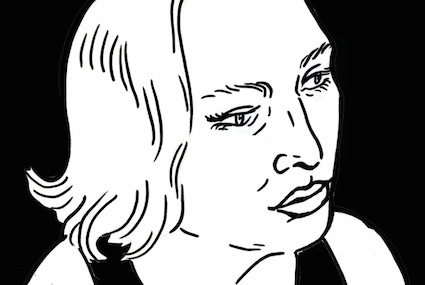 In Vice, Jacques speaks to her relationship to feminist politics and the inadequacy of the terminology we have to discuss trans. Interviewer Tasbeeh Herwees asked: "You say that there's as much transphobia on the left wing as there is on the right. In what ways did you feel left out of leftist or feminist movements?" 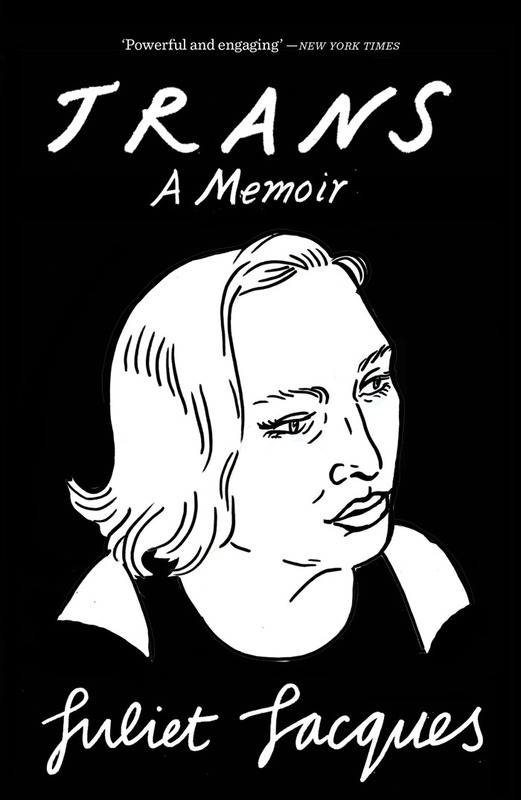 Juliet Jacques You had a brand of feminism that explicitly excluded and undermined and attacked trans people. That's changing in academic and activist and more left-field circles, but it was still very prevalent in liberal-left mainstream media. The discourse on trans people, in the Guardian in particular, was really dominated by that perspective still. Because that was my entry point, I didn't really look into other forms of feminism. I'd looked into trans and queer writing, but I hadn't really connected them to feminism. I saw them as antagonistic streams rather than things that were sort of crossing in and out of each other and interacting with each other. Within radical queer spaces, I never felt that welcome either, because as a kind of femme trans woman, I was never made to feel like them. There wasn't anybody for me. So I had to just carve out my own space, and I did that through writing. Visit VICE to read the interview in full.